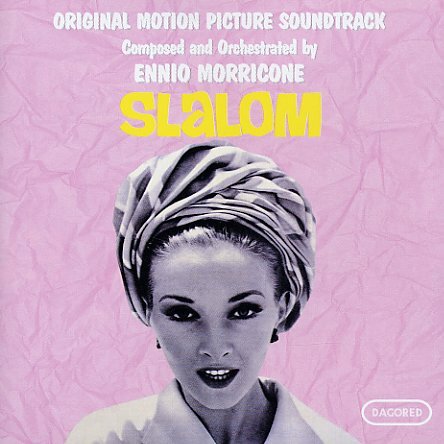 A very groovy early soundtrack by Morricone! This one's earlier than many of the reissues we've been stocking – and it's got a groovy sound that's made even groovier by some fab vocal work by I Cantori Moderni, a hip vocalese group that's kind of the Italian version of The Swingle Singers. The group has sung more famously on soundtracks by Armando Trovajoli – but they sound pretty darn great on this one, grooving along wonderfully over some spy-like themes by Morricone – with lots of jazzy changes. The tracklist is structured differently than previous editions, and extends the previous vinyl versions by more than 10 minutes! Titles include "Slalom (Titoli)", "Sestriere", "Una Sera In Albergo", "Un Omicidio Misterioso", "Sperduto A El Cairo I", "Incontro Magico" (Parts I, II & III), "Passeggiata Nella Neve" and more. © 1996-2019, Dusty Groove, Inc.